Ships today if you order in the next 9 hours 4 minutes. 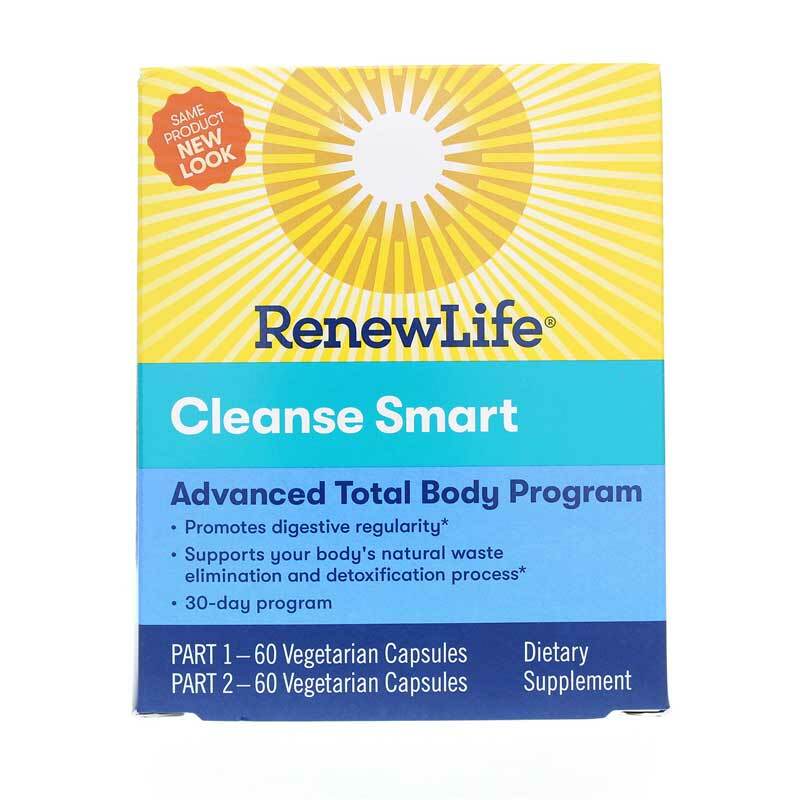 CleanseSMART from Renew Life is a 30-day, advanced total-body internal cleanse combines 23 natural ingredients to support the natural detoxification processes in the body. 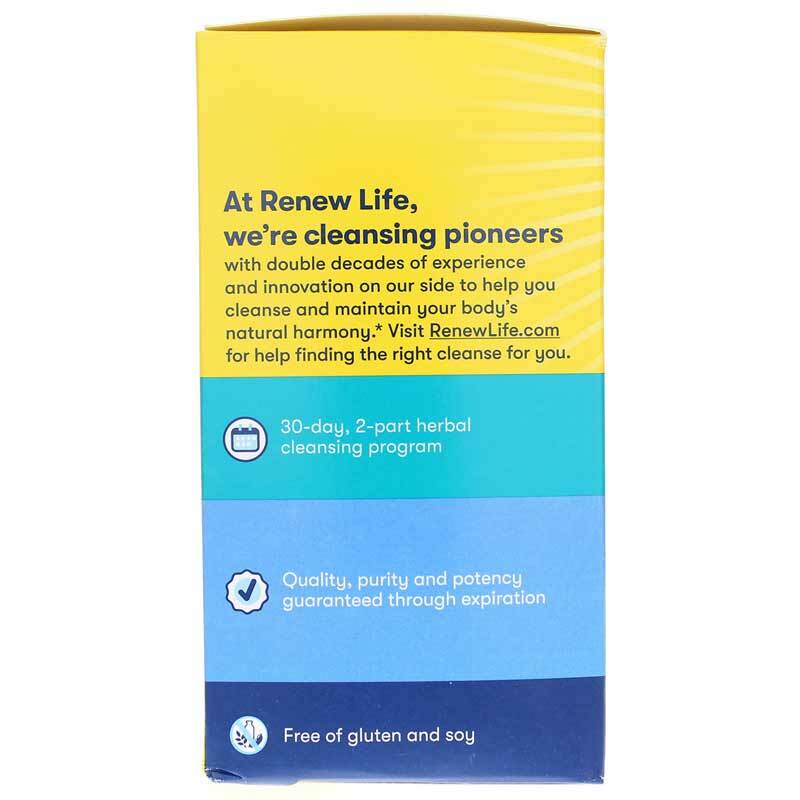 Easy-to-take body cleansing system - just 2 capsules in the morning and 2 capsules in the evening. The morning formula is a 15-herb natural organ detoxification formula and provides 7 herbs to help detoxify the liver. 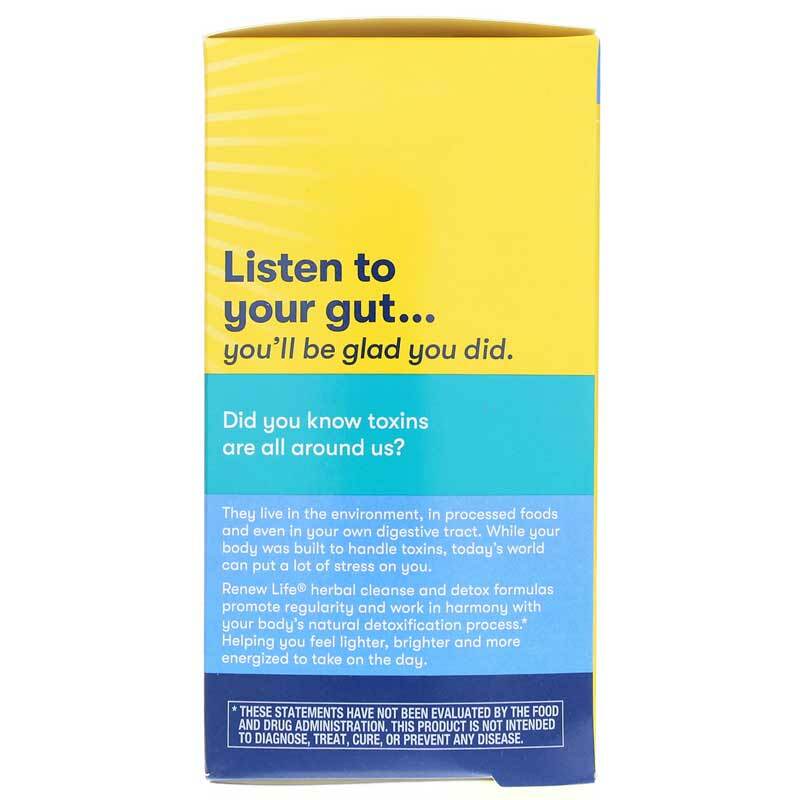 The evening formula contains 8 natural ingredients that help cleanse the colon. 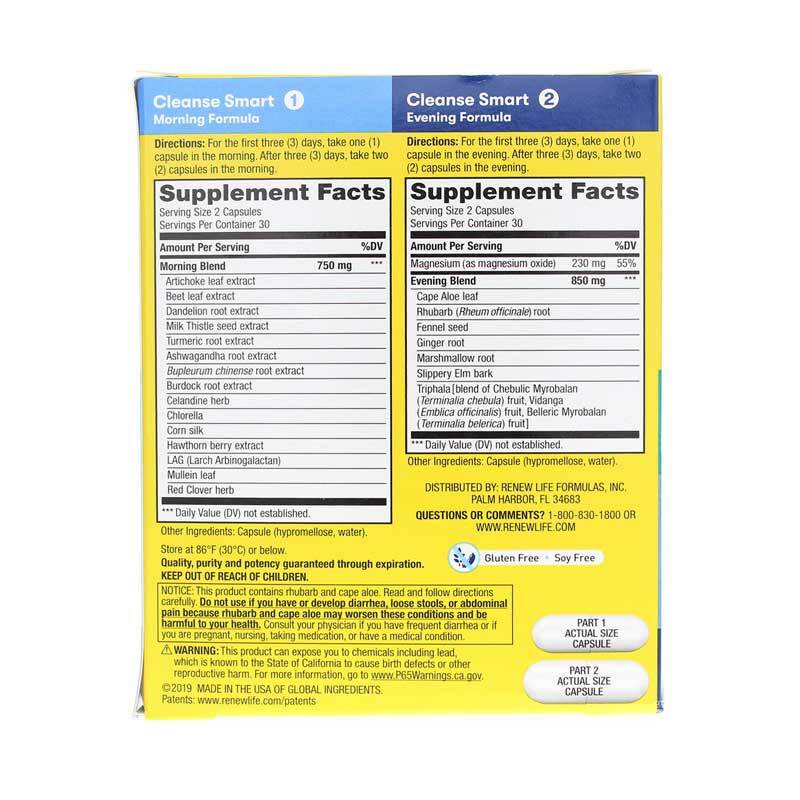 CleanseSMART is an easy-to-take body cleansing system - just 2 capsules in the morning and 2 capsules in the evening. Contains NO: soy, gluten, or artificial ingredients. Adults: For the first 3 days, take 1 capsule each day in the morning on an empty stomach. After 3 days, take 2 capsules each day in the morning. Please read accompanying literature. Contains NO: soy, gluten or artificial ingredients. Adults: For the first 3 days, take 1 capsule each day in the evening. After 3 days, take 2 capsules each day in the evening. Please read accompanying literature. Notice: This product contains rhubarb and cape aloe. DO NOT USE IF YOU HAVE OR DEVELOP ABDOMINAL PAIN, DIARRHEA OR LOOSE STOOLS. Read and follow directions carefully. Do not use this product if you are pregnant or nursing. Consult your physician before using this or any product if you are trying to conceive, taking medication or have a medical condition. Not for prolonged use. Do not exceed recommended dose. Keep out of the reach of children.